It’s official – I’m a Legend. …and not just in my own mind! Affiliate Summit (the premiere Affiliate Marketing Conference) honors a few select professional Affiliate Marketers every year, in their “Pinnacle Awards” ceremony. 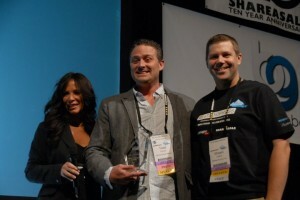 This year, the awards ceremony took place at the Affiliate Summit West Conference, in January 2011. 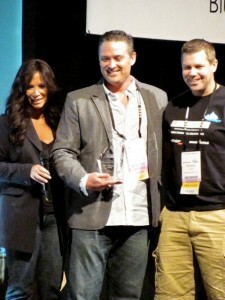 …and this year, I won the “Affiliate Marketing Legend” Award! Okay, so I’m not really a “legend”, (and I didn’t give a speech) but I truly am honored to have received the Affiliate Summit Pinnacle Award, “Affiliate Marketing Legend”. Yes, yes – I’ve been chastised by many of my friends in Affiliate Marketing, because I haven’t publicized my award, and I didn’t even make a simple blog post about it. Well, I have two reasons justifications for procrastination. 1) I don’t like to toot my own horn. I’m simply not good at it. The way I live my life is, “The proof is in the pudding“, “Actions speak louder than words“, “Judge me on what I DO, not what I say“…. You know, the normal mid-west modesty thing. But, I do need to learn how to do this better. 2) How do I properly acknowledge the gravity of this honor considering those who’ve previously won? It’s crazy to see my name next to my predecessors who’ve been honored in this category. Do you know who else has won this award over the years? They are huge people in this industry, and I’m humbled to be counted among them. 2011: Todd Farmer <– that’s me. Wow! 3) It’s the “Legend” Award, for goodness sake! Okay, so those are my reasons for taking so long to do this. But today, I hit “submit” and publish this post. 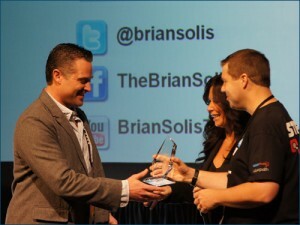 Well, the new 2012 Pinnacle Awards will be presented just over a month from now. It would be wildly inappropriate to publish this any later than now. So, I’m finally going on the record to (1) Tell you about this milestone in my Affiliate Marketing career, and (2) Thank you all for your support. Congratulations Todd. Who knew you were so admired? I guess you don’t own a tie … my kind of fashion statement but without the coat unless it’s cold out. Maybe I will learn and grow and follow in your footsteps, it could happen! Fun to know you. USF class of 2011. Todd – you are indeed a legend. Great to know you and learn from you … see you in Vegas ’12 – we need to make sure to find a piano. There is a rumour that there isn’t one in the Caesars. ? Hay Todd, how come I never knew that you won this award! You are a quiet strength! Though “quiet” you still are an effective internet marketeer. Proof that you know how to say “it” effectively. Marketing is about bringing value. Learning affiliate and internet marketing from you would by all means bring a consumer the greatest value.